Welcome to my TruVision Health Review! TruVision is a relatively new company in the MLM business, but it has quite many representatives. Chances are you have met a TruVision Health salesperson trying to convince you to join the company or buy their products. I will review the business for you so can have all the information about the company and what they do. It is a health and wellness company that makes use of the network marketing business model to sell their products. It was founded in 2014 by Derek Bailey, Travis Martin, and Shawn Gibson, and is based in Utah. 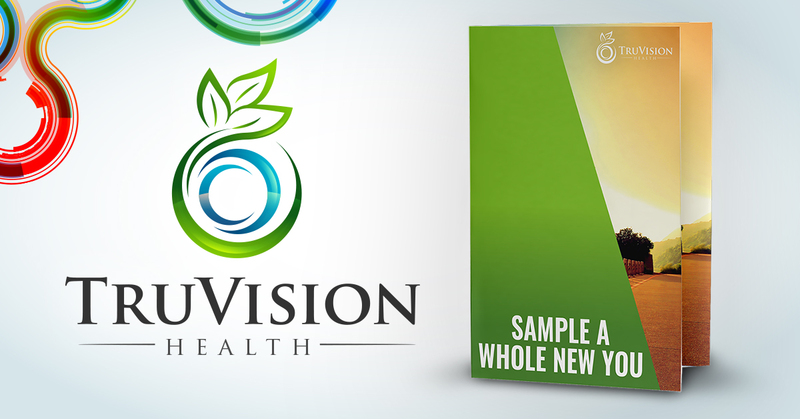 TruVision Health sells nutritional supplements that claim to help you achieve health goals such as better energy, weight loss, and better cardiovascular health. They are divided into three: Core, Complementary and Essential Oils. TruFix – Manages blood sugar, promotes healthy liver functionality and lowers cholesterol. TruControl – Helps you curb hunger and boost your energy losing weight. ReNu – A full-body detox. RePlace – A protein-packed vegan meal replacement. Complete Multivitamin – Daily vitamins to meet your nutritional needs. Available for both men and women. MSM Powder – Promotes collagen formation and joint health. Heart and Hydration – Promotes a healthy heart and hydrates the body. TruElevate – This is available in powder form, and helps you lose weight and fat using a natural formula that has caffeine, green tea extract, and casein protein while keeping you energized. TruWeight and Energy – Helps you curb hunger and boost your energy losing weight. TruSlumber – Encourages a good night’s sleep to help provide renewed energy and focus. TruSoothie – This is muscle soothing crème. TruFuel – A super whole food that is a balanced meal on its own. It contains nuts and berries such as almonds, cashews, walnut oil, cranberries and grape seed oil. TruMend – A first aid balm for the skin. SimplyFresh – A TruVision Health deodorant that is health conscious. SimplyClean – A nontoxic multi-purpose cleaner that is 100% biodegradable. Clear – For respiratory support. Pure – Cleanse environmental threats and unwanted odors. Tea Tree – Essential oil to cleanse and refresh your mind and body. TruDefense – Essential oil with antiviral and anti-bacterial properties. Various oils with different scents such as lavender, orange, lemon, and grapefruit. Retail – Buying the products at the full retail price. Preferred Customer – Purchasing the products by autoship (products are delivered to you automatically monthly). You get a 10% discount off the retail price and can change or cancel the autoship at any time. Associate – Buying the products at 20% discount, and becoming an associate/representative of the company. The difference between the Retail (customer) and Associate Prices is paid to the direct upline Associate. This bonus is paid out in the sponsorship tree up to the first 4 qualified Associates who have at least 100 QV (Qualifying Volume) in either the current or previous month. The percentage paid out is from the first FastStart Pack purchased by any new member you recruit into your first four levels. The Global Bonus is based on 3% of the total commissionable volume. It is reserved for those who attain the top levels of TruVision Health’s Compensation Plan. The Check Matching Bonus is given to encourage leadership and teamwork in the organization. It is usually a 10% match on all the personally enrolled Associates that get a unilevel commission check. All purchases with PV (Product Volume) earn commissions for the Associates in a unilevel method, according to your rank. Associate – You need to buy any of their startup business kits. You earn 7% on your first level and are eligible for the Matching Bonus. Managing Associate – You need to have personally recruited 2 associates (you count as one associate) and have at least 5 active associates or preferred customers in your downline. You earn 7% on your first level, 7% on your second level, 6% on your third level, and are eligible for the Matching Bonus. Senior Associate – You need to have personally recruited 3 associates (you count as one associate) and have at least 30 active associates or preferred customers in your downline. You earn 7% on your first level, 7% on your second level, 6% on your third level, 6% on your fourth level, and are eligible for the Matching Bonus. 1 Star Director – You need to have personally recruited 4 associates (you count as one associate) and have at least 90 active associates or preferred customers in your downline. You earn 7% on your first level, 7% on your second level, 6% on your third level, 6% on your fourth level, 5% on your fifth level, and are eligible for the Matching Bonus. 2 Star Director – You need to have personally recruited 5 associates (you count as one associate), have at least 250 active associates or preferred customers in your downline, with 25 active ones outside your two largest legs. You earn 7% on your first level, 7% on your second level, 6% on your third level, 6% on your fourth level, 5% on your fifth level, 5% on your sixth level, and are eligible for the Matching Bonus. 3 Star Director – You need to have personally recruited 5 associates (you count as one associate), have at least 500 active associates or preferred customers in your downline, with 50 active ones outside your two largest legs. You earn 7% on your first level, 7% on your second level, 6% on your third level, 6% on your fourth level, 5% on each of your fifth, sixth and seventh levels, and are eligible for the Matching Bonus. 4 Star Director – You need to have personally recruited 5 associates (you count as one associate), have at least 1,000 active associates or preferred customers in your downline, with 200 active ones outside your two largest legs. You earn 7% on your first level, 7% on your second level, 6% on your third level, 6% on your fourth level, 5% on each of your fifth, sixth, seventh and eighth levels, and are eligible for the Matching Bonus. 5 Star Director – You need to have personally recruited 5 associates (you count as one associate), have at least 2,000 active associates or preferred customers in your downline, with 400 active ones outside your two largest legs. You earn 7% on your first level, 7% on your second level, 6% on your third level, 6% on your fourth level, 5% on each of your fifth, sixth, seventh and eighth levels, and are eligible for the Matching Bonus and the 3% TruVision Bonus Pool. 6 Star Director – You need to have personally recruited 5 associates (you count as one associate), have at least 4,000 active associates or preferred customers in your downline, with 800 active ones outside your two largest legs. You earn 7% on your first level, 7% on your second level, 6% on your third level, 6% on your fourth level, 5% on each of your fifth, sixth, seventh and eighth levels, and are eligible for the Matching Bonus and the 3% TruVision Bonus Pool. 7 Star Director – You need to have personally recruited 5 associates (you count as one associate), have at least 8,000 active associates or preferred customers in your downline, with 1,600 active ones outside your two largest legs. You earn 7% on your first level, 7% on your second level, 6% on your third level, 6% on your fourth level, 5% on each of your fifth, sixth, seventh and eighth levels, and are eligible for the Matching Bonus and the 3% TruVision Bonus Pool. A 7% commission earned by the first two levels. In as much as TruVision Health is a new company in the market, it has a better approach to network marketing as compared to other MLM companies. Their products are legit and are considered healthy by those who have used them. However, since it is an MLM, you will need time to build a downline large enough to earn you lots of money from commissions.